Start line for 14k skate race. 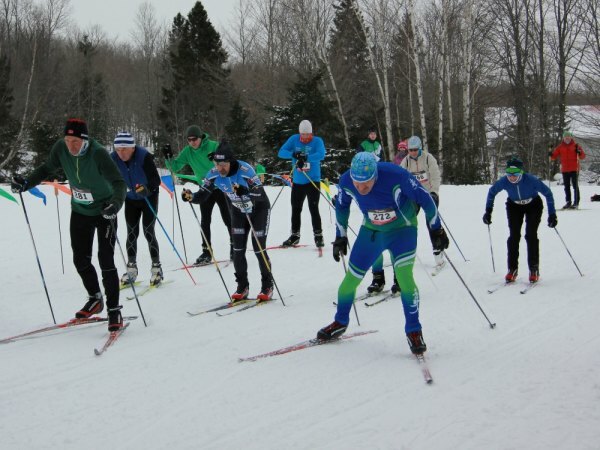 The 20th Annual Maple Syrup Stampede attracted cross country skiers to the Mountain on St. Joseph Island in hopes of taking home some liquid gold. 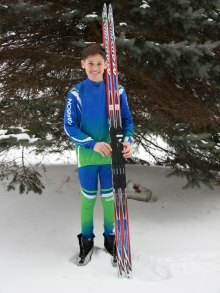 Micah Byman-lucky winner of new skis donated by Algoma Bicycle. It was cold on race day, but with no wind and some fresh snow for the groomer, conditions were actually pretty good. The 2k classic started at 10:30 with the 7k classic to follow. 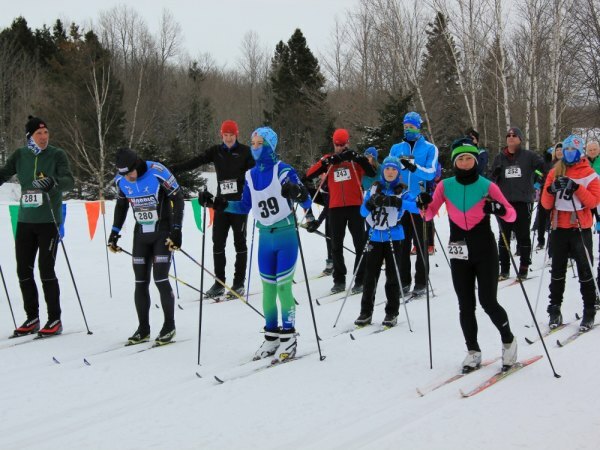 Once the classic racers returned, the groomer packed the trails for the grueling 14k skate race. Racers were treated to a hot lunch and well deserved homemade cookies back at the Jocelyn Community Hall. Top finishers were announced in each age category, and chose SJI maple syrup or other prizes from the awards table. Start line for 7k classic.